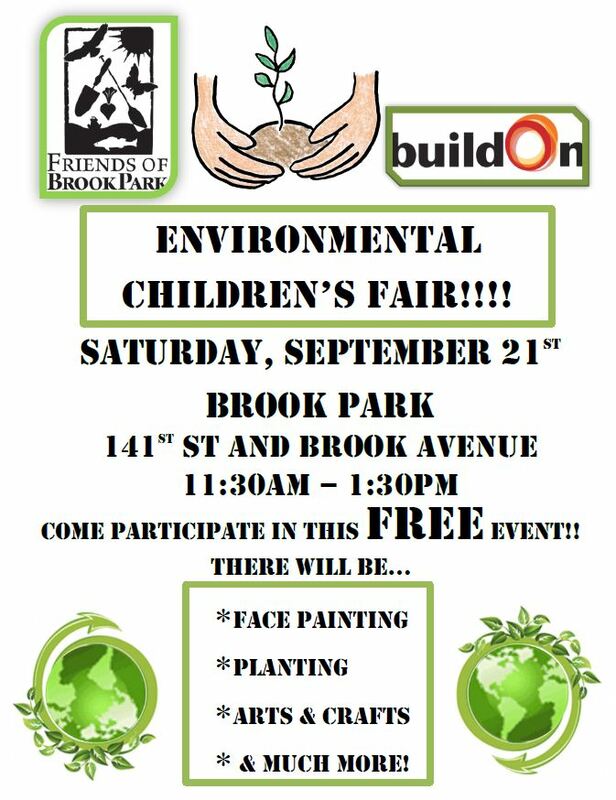 Join us this Saturday at Brook Park for an Environmental Children’s Fair, sponsored by the Friends of Brook Park and BuildOn. The FREE event kicks off at 11:30 am and will include face painting, arts and crafts, planting and much more. 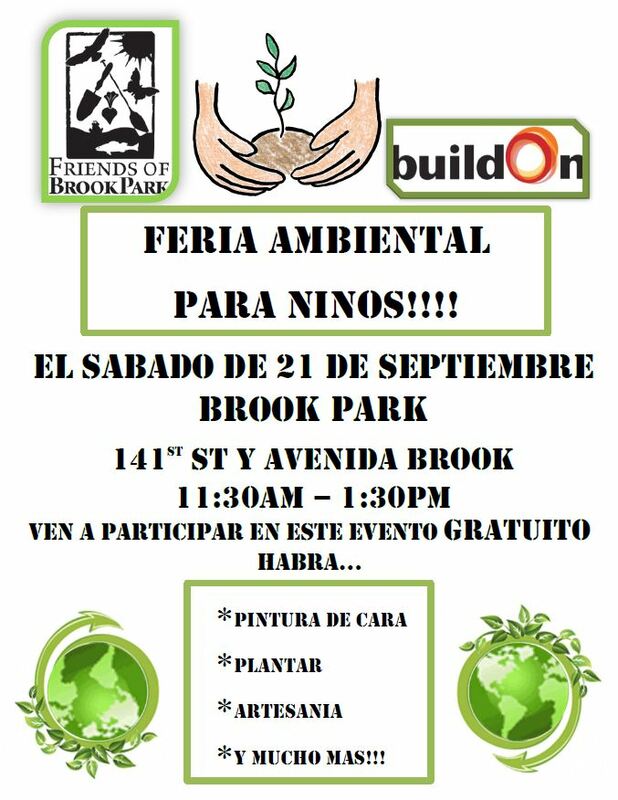 Brook Park is located at 141st Street and Brook Avenue. Hope to see you there! This entry was posted in Events, Mott Haven. Bookmark the permalink.